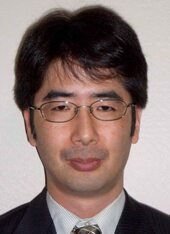 The Nishina Memorial Foundation announced that Kunio Inoue, Principal Investigator of Kavli IPMU and Professor of Research Center for Neutrino Science, Tohoku University, is a recipient of the 2012 Nishina Memorial Prize. The Nishina Memorial Prize is the oldest and most prestigious physics award in Japan. The past winners of the Nishina Prize include the 4 Nobel Laureates in physics: Leo Esaki, Masatoshi Koshiba, Makoto Kobayashi and Toshihide Maskawa. Since 1955, the Prize has been awarded annually by the Nishina Memorial Foundation. The Foundation was established to commemorate Yoshio Nishina, who was the founding father of modern physics research in Japan and a mentor of the first 2 Japanese Nobel Laureates, Hideki Yukawa and Sin-Itiro Tomonaga. Inoue has played a leading role in the KamLAND (Kamioka liquid scintillator anti-neutrino detector) experiment and he is now propelling the project as the spokesperson of the experiment. He has worked on understanding the propagation process of neutrinos, detailed calibration of the detector and background estimation following the successful measurement of the oscillations of reactor neutrinos, which has lead to a 2005 success of the first observation of terrestrial anti-neutrinos (geoneutrinos) originating from radioactive decays of uranium and thorium inside the earth. Confidence level of this observation was improved to 99.997% by 2010. In 2011, he has experimentally proved for the first time that the earth is cooling by deriving the heat generation inside the earth due to radioactivity of (21+/-9) Tera Watts and it is only a half of the measured heat flow on the earth surface of (47+/-2) Tera Watts. He has built a model of chemical composition inside the earth and established a first step for neutrino geophysics research. The Nishina Memorial Foundation says, "His successful works explore interdisciplinary researches using neutrinos and are the foundations of development of neutrino geophysics by direct observation of insede the earth."